He belonged to the 131st Engineers on maneuvers in La. 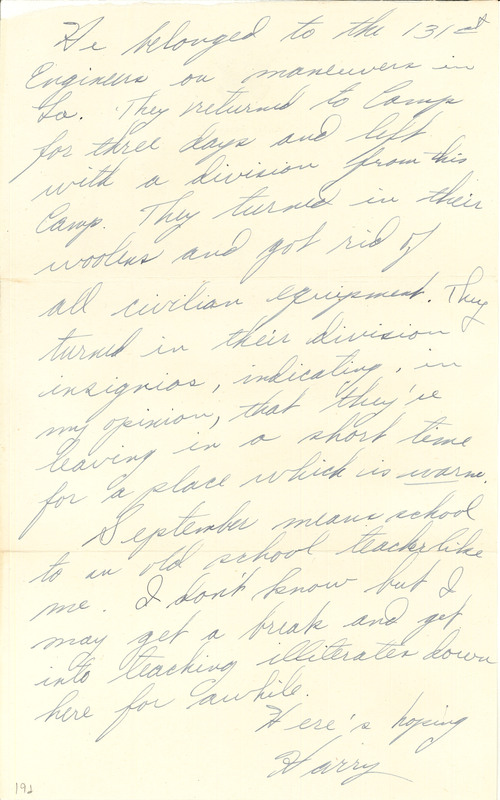 They returned to camp for three days and left with a division from this Camp. They turned in their woolens and got rid of all civilian equipment. They turned in their division insignias, indicating, in my opinion, that they're leaving in a short time for a place which is warm. September means school to an old school teacher like me. I don't know but I may get a break and get into teaching illiterates down here for awhile. Here's hoping Harry.